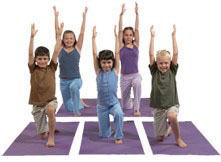 YogaCalm is a research-supported wellness learning and preparedness curriculum designed to meet the needs of children and teens (K-12) by integrating fitness, social/emotional skills development and cognitive learning. It helps children develop emotional intelligence, communication skills, trust and empathy. It nurtures teamwork and leadership. It prepares students to learn. 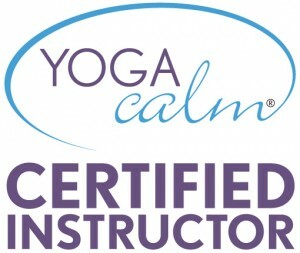 How Do Programs Like Yoga Calm Help? Simple breathing and biofeedback techniques slow the nervous system and help children develop self-control and connect with their feelings, preparing them for learning. Yoga poses and sequences release physical and emotional energy, improve physical fitness and emotional capacity, increase flexibility, and enhance self-confidence and concentration skills useful for learning and testing. Social/emotional games and counseling tools develop trust, compassion, communication, teamwork and leadership skills. Relaxation techniques like storytelling, mental imagery and music calm the nervous system, develop imagination, support lesson plans and integrate physical, emotional and cognitive experiences. Wellness Lessons develop healthy life habits around food, exercise, electronic media and other life choices. Implementation of this program has shown to improve test scores, comprehension, and social and emotional stability of children. These skills are supportive of lifelong success. Yoga Calm works with a wide range of students, including those struggling with ADHD, anxiety and other behavioral and emotional challenges. The physical elements are safe for and accessible to people at all skill and fitness levels.